The R-H120 double pinch metal ring roller has powerful industrial grade hydraulics that drives all the rolls on this 3 roll bender. 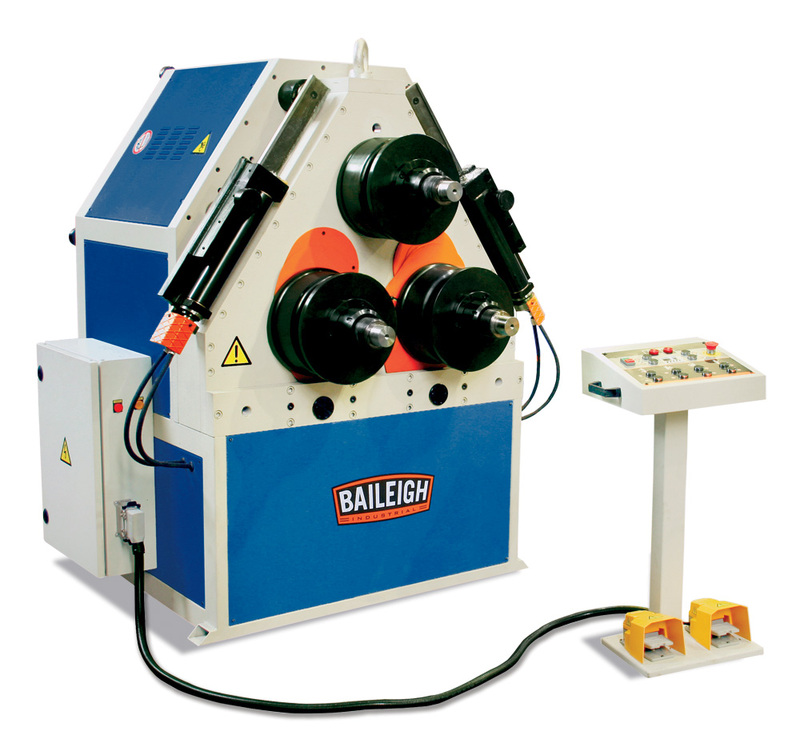 The lateral roll guides and guide rolls on this ring roll bender are hydraulically driven to assist with coiling and twisting. Independent upward and downward positioning of the bottom rolls is determined by the programmable DRO, which allows for repeatable bends when doing production runs. The double pinch section roll design allows for accurate pre-bending and post-bending that saves valuable production time, material, and allows for tighter rolling of the material. This ring roll bender has a heavy duty steel plate frame that is electro welded to ensure no flex when bending at full capacity. A Siemens inverter drive makes for safe starts to the motors and also acts as a safety overload to the machine when bending at maximum capacity. This section roll bender can be operated in the vertical and horizontal position depending on what OD and size material needs to be rolled. A movable operator control pendant houses all pertinent control buttons including the DRO programmer and foot pedals for direction of operation. This metal ring roller offers one of the best designs on the market and is built with high quality componentry to last for decades of production.